1009 not out:Pranav Dhanawade’s earth-shattering innings – COME MAKE IN INDIA.SELL ANYWHERE AROUND THE WORLD. Cricket has and always will be a batsman’s game. One can lament the bowlers not getting their due credit and the game and its rules bent to favour the ones who wield the bat, but it doesn’t change the fact that batsmen have it all. After all, a bowler can take a maximum of 10 wickets in an innings, but there no such limit on how many runs one can hit. A 15-year-old boy from Kalyan, Mumbai, went out there to bat at an inter-school tournament and smashed any limits that one can think of. 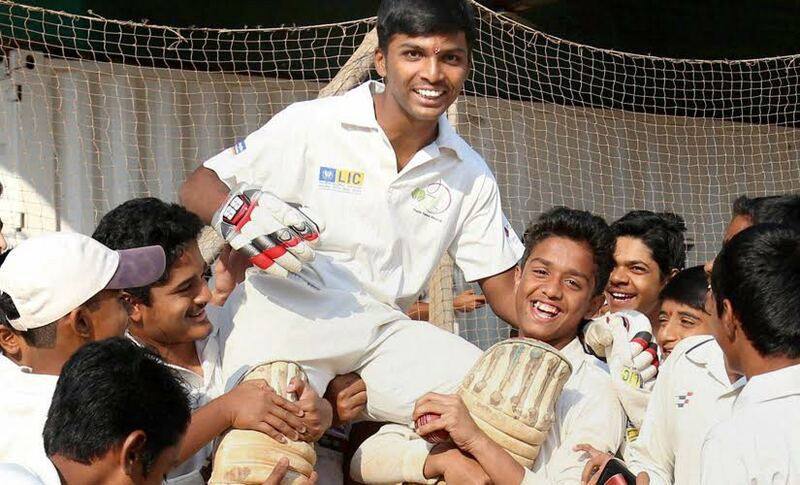 Pranav Dhanawade, batting for KC Gandhi school at HT Bhandari Cup inter-school cricket tournament, hit an astounding 1,009 runs off 323 balls, hitting 129 fours and 59 sixes along the way. That means, out of those 1009 runs, he scored 870 (!!!!) runs in boundaries. In the process, Dhanawade toppled records to to get to the highest individual score at any form of representative cricket. Previously, AEJ Collins’ 628 not out for for Clark’s House against North Town in Clifton College in 1899, over a hundred years ago, in the UK was the record. We take a look at Indians who have scored 500 and above at any level in cricket. Dadabhoy Rustomjee Havewala was the first Indian to score over 500 runs in an innings and it happened way back in 1933. It was the final of the Times of India shield in December 1933 in Mumbai (then Bombay). Havewala, playing for Bombay, Baroda and Central India Railways, scored an unprecedented 515 against St Xavier’s, hitting 32 sixes and 55 fours along the way. And guess what, the all-rounder also took 11 wickets over the course of two innings in the match. What a performance! He also went on to play first class cricket for Bombay and featured in the Maharaja of Patiala’s XI against Lord Tennyson’s XI, when the English side toured India in 1937-38. Here’s a link for the incredible scorecard of his all-round performance on that fateful day — 515 runs, 11 wickets. Malhotra Chamanlal, also known as just Chaman Lal, scored 502 not-out for Mahendra College, Patiala against Government College, Rupar in 1956-57, becoming the second Indian after Havewala to get to 500. He had made his first class debut for Eastern Punjab in 1952-53 and went on to captain Northern Punjab in the Ranji Trophy in 1962-63. This one is a recent memory. 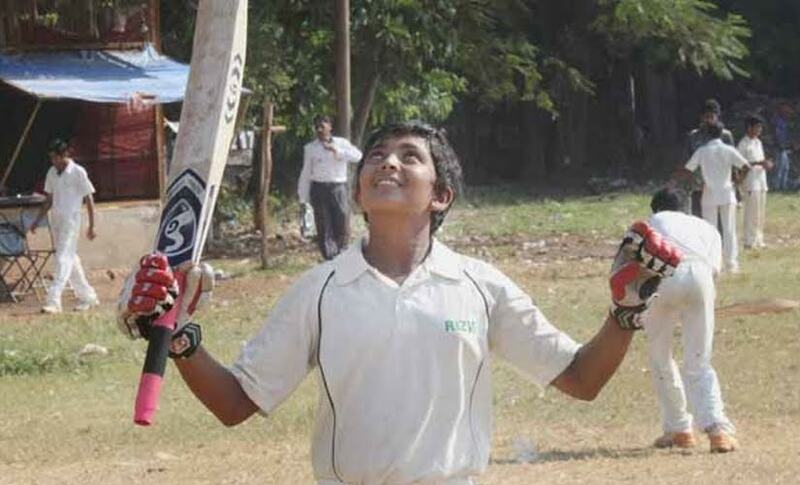 Prithvi Shaw, then 14-year-old smashed all Indian records in November 2013, when he hit 546 off 330 balls, batting for Rizvi Springfield High School in a Harris Shield match against St Francis D’Assisi at Azad Maidan in Mumbai. The teenager hit 85 fours and five sixes on route his devastating total. Shaw is considerably famous in Mumbai cricket circles and is often touted to be the next Sachin Tendulkar. After his record-breaking innings, Shaw even got a Rs 36-lakh endorsement deal with SG. His innings came a week after Sachin’s retirement at the Wankhede and it was the Harris Trophy itself where Tendulkar and Vinod Kambli had put a 664-runs stand in 1988. Tendulkar had scored 326. The comparisons were inevitable. Prithvi now captains Mumbai U-16 and plays for MIG cricket club. First Shaw, now Dhanawade. Will India see its next Tendulkar in the coming years?